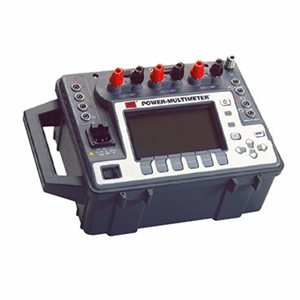 The PMM1 is a portable, battery or line operated, multi-function measuring instrument designed to measure ac primary and secondary currents, voltage power, reactive power, phase angle and frequency of single and three-phase systems. A high speed recording feature can capture starting currents of three-phase motors. All measured values are displayed on a large easy-to-read graphic display. RS-232 data and parallel printer ports are provided.